"The Urban Child Institute" is a non-profit organization dedicated to study intelligence development of children under Age 3. Research shows that by age three the brain development of children has reached 80 percent of its adult volume. Early brain stimulation and exercise is very important, for which left-brain and right-brain spoons made by dodo papa is designed, by using both left hand and right hand to feed themselves in daily life. 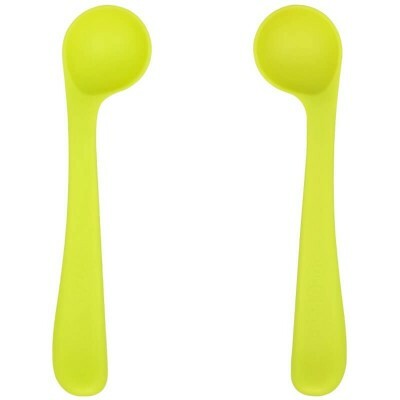 Patented spoon head of 30 degrees angled, enables toddlers to feed themselves effortlessly. Left and right - stimulating brain development by using both left and right spoons to feed. Curved handle design fits for human dynamic. Made from high-quality materials imported from South Korea, safe, reliable and BPA-Free. The spoon can withstand the temperature of 130 degrees Celcius.